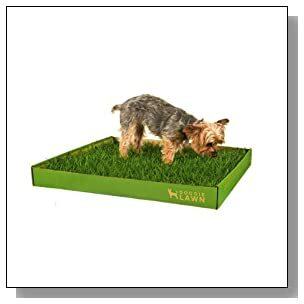 One of the first things an owner needs to learn is how to be successful in dog potty training. Many pet owners are overwhelmed at the prospect of having to housebreak their new puppy. 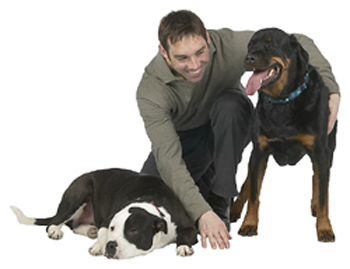 It can seem like an impossible task at first but with some understanding and persistence can be a very simple process that will establish many years of cooperation between you and your dog. 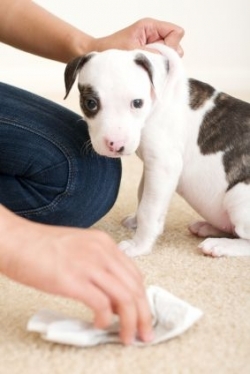 There are a few ways to handle the undertaking of potty training your pet. 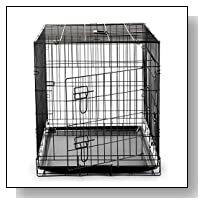 The most effective and uncomplicated method is crate training. Dogs are pack animals and prefer being a part of the family to being solitary, but like the rest of us, they also need their private space. This is where a crate comes in. 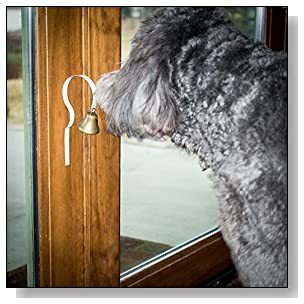 Not only is it a functional tool in housebreaking, it also serves as a safe haven for the pup and it would be helpful to teach any children in the house that when the puppy goes to her “room” she is to be left alone, as this is her quiet time. 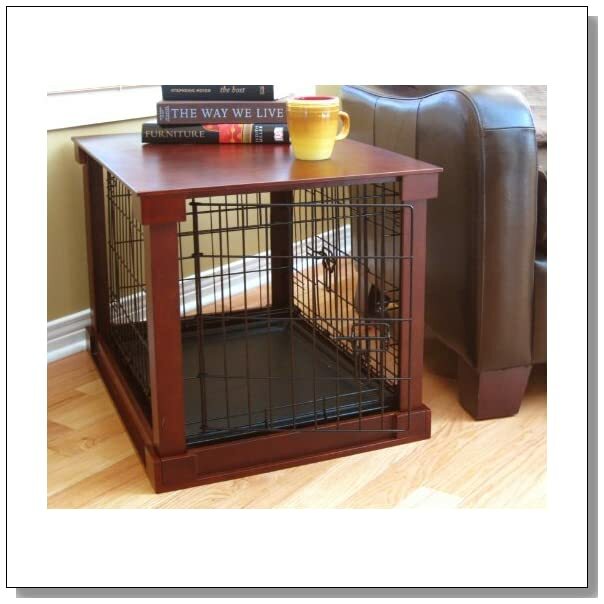 When choosing a crate for your puppy you must consider the size of the puppy you are housebreaking. Not the size of the dog she will become. As she grows, so will her crate, but a puppy prefers not to sleep where she goes to the bathroom so keeping the crate smaller will keep her from using one side to sleep and one to use as a toilet. 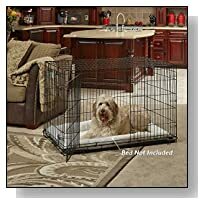 It is best to choose a sturdy, wire crate so the puppy can still feel like part of the family and see into the room, rather than a plastic one made more for travel that closes off the pup’s view. 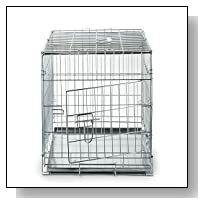 These wire crates can be found in a fold-up style for easy portability and also come with a removable tray for easy clean up from accidents. If she becomes over-stimulated from the activity in the room, it’s ok to drape a sheet over the crate to calm her down. 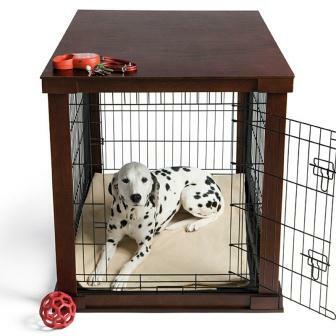 Now that you have your puppy’s new “bedroom” all set up you will need to get her used to being in the crate. Take care never to use the crate a “punishment” because this is supposed to be a happy, comfortable place for her to be. 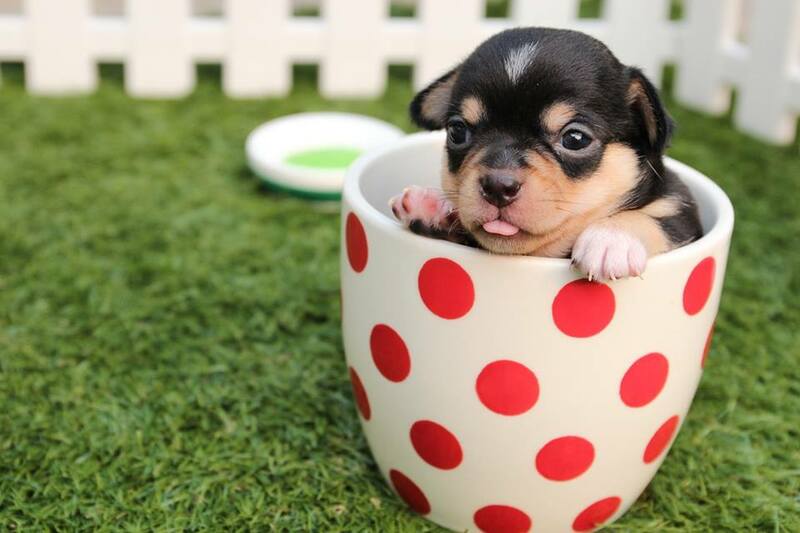 Always use the same word when referring to the crate, such as “bed” or “crate” or “room” so that the puppy learns what you are talking about when you say “go to your bed” and always use your phrase of choice each time you put her in her crate. It is highly likely that your puppy will do a lot of whining overnight while left alone in her crate for the first few nights. 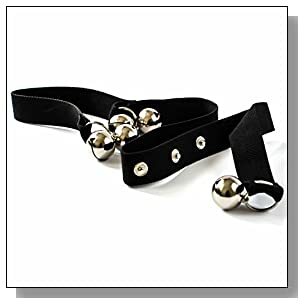 It make get very annoying to the people in the house, however, it will not go on forever and it’s important that you maintain persistence and not cater to the puppy’s whining by letting her out. This is how accidents happen. The next step is getting your puppy into a routine. She may have accidents in her crate, but that’s ok.
Make sure that she is taken outside to her “potty spot” first thing every morning. Eventually she will learn and understand that this will happen every time she comes out of her crate and she will begin to “hold it” to wait to be taken outside because she is not fond of sleeping in her own waste. After she goes to the bathroom outside, give her lots of praise. Keep in mind that puppies will need to be taken out frequently throughout the day, as much as every hour. As they get older they will be able to spend more and more time outside of their crates, playing and being with the “pack” and if you leave the gate to the crate open, will often retreat back to their den for a nap. It is not an impossible task to housebreak your puppy. Love, praise and persistence go a long way and your entire family will be happier for it. 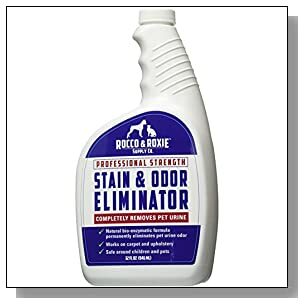 Every dog owner is going to have to clean up after their dog. 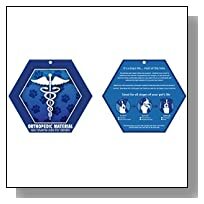 This is not so much fun as some parts of owning a dog, but it's important to be healthy and sanitary. 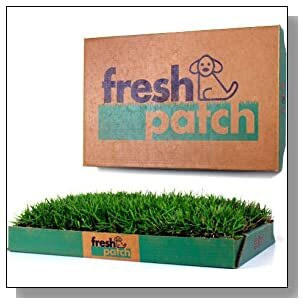 It is important to teach your pet which areas of the yard are for him to proceed to the toilet in. He will also need to learn how to let you know when he needs to head outside to the yard. 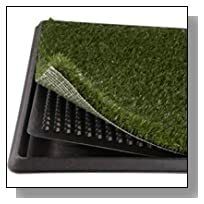 You will have part of the yard where it is acceptable for your furry friend to mess. Some people have chemical toilets which break down the dog faeces and render it harmless; and people train their dogs to head to the toilet close to that area. When you have a new dog which is mature, they might already know that they need to go outside to the toilet. Dogs usually go to the toilet when they wake up after a nap. When you see him waken, take him to the area where he you want him to proceed to the toilet. When they go to the toilet, give them lavish approval. Tell them how good they are. You will have to do this lots of times, until they understand what you want. Soon they will just walk to the right spot when you let them out in the yard. If you have a puppy you will need to take things a bit slower. Puppies are just babies. They will take some time to learn to go to the special toilet place in the yard. 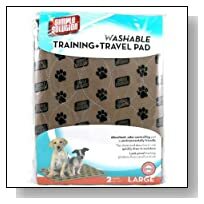 You can use puppy pads in the house at first. 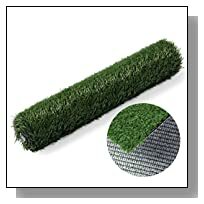 Every time your puppy wakes up, put them on a puppy pad; they will usually go to the toilet. Give them lots and lots of approval if they do one thing right, and then move to the next level of training later. Right after eating it's food is another good moment for your pet to go to the toilet. 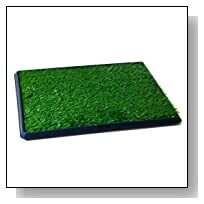 Put your puppy on the puppy pad as soon as he has finished his meal. If he does anything, keep up with the lavish praise. Praise is the best way to teach a dog; they are hard-wired to please you. They feel good when they make you happy. So, if you are pleased with something he does, and you show it to your pet, they will keep on doing it. 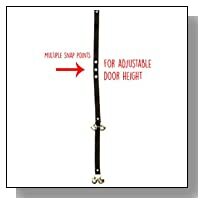 You can also show the dog to rattle and ring a simple door bell to make noise and let you know it needs to go outside. It is a matter of making these things a habit. 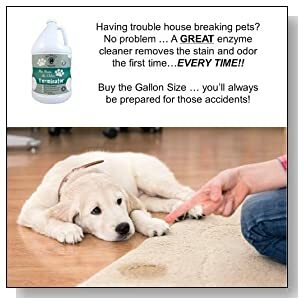 If your pet has an accident inside the house, just clean it up and say nothing. Your pet will not learn anything from having his nose put in the mess, or from being rebuked angrily. He will not understand that he did something wrong, and he will not know what you mean. It simply makes him confused. Never ever hit your pet. It will only teach them that you are cruel. If you catch your dog in the act of doing something naughty, gently hold onto the back of his neck and give it a little shake, while saying "no" in a firm deep voice. Mother dogs do this to rebuke their puppies, so your dog will understand this. Remember it is not a rough shake; you are a lot stronger than a mother dog! 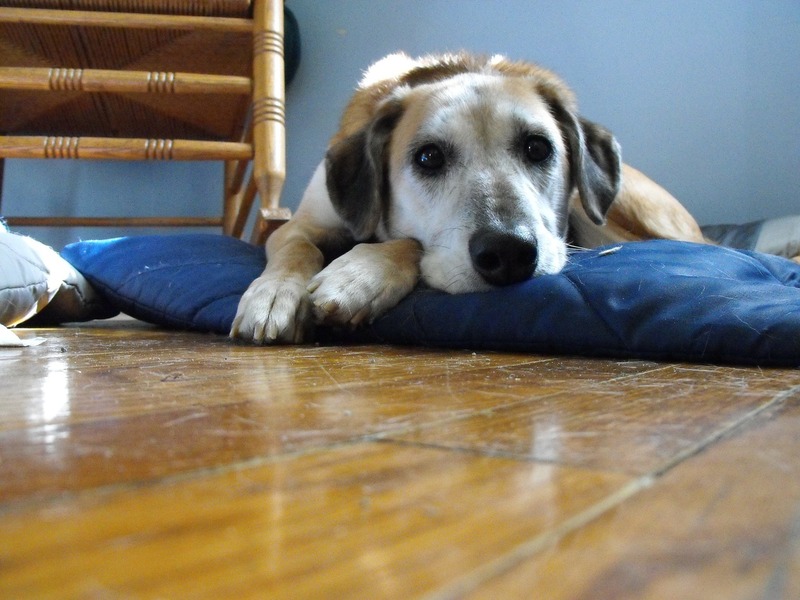 When it comes to reducing household messes, your puppy can be easier to housetrain than a teenager. That's because a puppy - by nature - can't stand to live in the same area with his messes. You can use that instinct to housetrain your puppy with minimal distress for both of you. A puppy that comes into your home directly from the breeder has adjustments that you have to consider. Not only is the puppy in a strange environment, but he's been taken from his mother and siblings. Where there were lots of little barks and playful activity among other puppies, he is now an "only dog" in a home where he must wait for your time and attention. If your home is filled with children, then the puppy can actually be overwhelmed with attention and not enough time to rest. 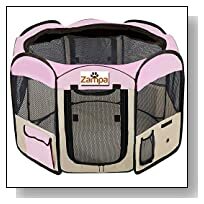 Be mindful that your little puppy has many adjustments to make in becoming part of your home and family. If you're crate training your puppy, everyone in the home needs to agree that this job is under the control of one person - or at least kept on a schedule. Otherwise, the whimpering puppy in the crate might be released by a well-meaning child (or another adult) and suddenly, there's a mess on the floor. Worse still is to wake up in the predawn hours of the morning to take the puppy out for a break, only to have to go looking for the puppy. Someone weakened and put the puppy in the bed. Unfortunately, the puppy needs to potty and the next pillow is as good as anyplace. Lesson learned - at least the lesson for the owners. You may have to train the family at the same time you are training the puppy. Explain how the dog's instinct is to avoid doing potty business where he sleeps and eats. That's why crate training is a kind of aversion therapy - so that the puppy will want to hold it until he's taken outside for official potty time. Then make sure that you don't let your puppy spend time in his own mess inside the crate. If you constantly interrupt the housetraining routine, your puppy learns that you're not dependable and he accepts living in mess. Once that happens, you lose weeks' worth of effort. So take advantage of the puppy's instinct for separating his life functions. Who knows - maybe this will rub off on your teenager! As you housetrain your dog, you have to set up a schedule. Your dog isn't going to do that for himself. It takes your effort and monitoring for several weeks to a few months for this to occur, so that your dog learns a routine. You can help your dog know when it's the right time to go potty by repeating that routine consistently. When most people wake up, they usually go to the bathroom soon afterwards. Well, your dog needs the same courtesy. Don't stop to make coffee or check the newspaper - take your dog out as soon as you're up and moving. He's been holding it all night, so don't make this difficult. Keep the first potty break short, and then bring him inside for breakfast. Let your dog eat breakfast while you're getting dressed and ready for the day. By the time you finish your coffee and breakfast, you can take the dog out for a potty break. If he's had some time to eat and let the food settle, he'll be ready for elimination before going into the crate or the room where he spends the day. With a puppy, you need to come back for a mid-day potty break and a mid-afternoon break if possible. When you're at work, let another family member or willing neighbor handle those breaks for you. Just make sure everyone knows and follows the routine you use for breaks. Make the breaks short (5-10 minutes) and don't mix playtime with potty time. Your dog needs to clearly understand the difference and he will - if you're consistent. Keep the same routine for dinnertime. 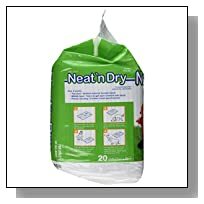 Let your dog out for a potty break as soon as you return home from work or school. Set a time to feed the dog and don't get more than thirty minutes off schedule. It's better to feed the dog early in the evening, so that the food digests and he's ready for an elimination break before bedtime. Then follow the same procedure that you do in the morning. As you're housetraining your dog, keep notes of the times. You can even create a simple checklist to post on the refrigerator. Then anyone who feeds the dog or takes him for potty breaks can make note of the time. This is helpful in noticing what the dog's natural elimination patterns are. When your dog completes his potty break, remember to give him praise and affection. You can offer a dog biscuit, but it's not necessary. He's just as happy with your approval. 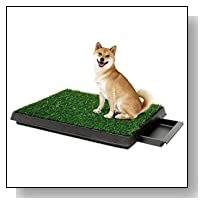 Instead of the old training methods that punish a dog for making a mess in the house, you take the more effective positive approach to show him approval for getting the job done during a scheduled potty break. 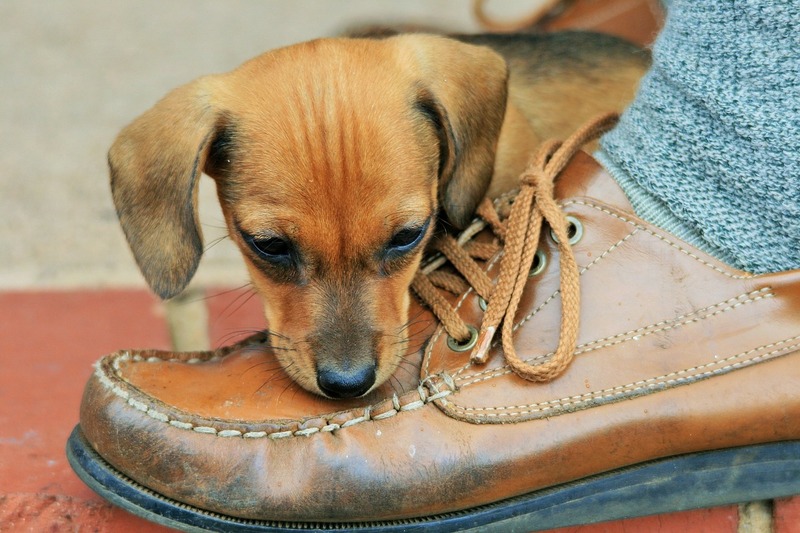 Since your dog wants you to love him, he will be willing to try his best to please you. Just don't make it difficult. If you're running late and miss his potty break, clean it up and get back on track without scolding him. Your dog depends on you for many things, including staying on target for potty breaks. He doesn't want to mess in his space - or in yours - so help him do the right thing by sticking to a routine. Like mentioned above; every dog has its own individual learning curve. This learning curve is greatly affected by the pet owner’s reaction to the accidents caused by their pets. Each time the pet dog displays symptoms of relieving himself; call out his name or clap in order to distract his attention. Constant control on his activities will help you determine his/her behavioral patterns as well. Make sure that you don’t vent out your anger or frustration on the pet dog if he does cause an accident. Carefully clean up the mess and ignore the dog completely while doing so. If he/she does try and approach the accident area; make sure you don’t yell at the dog. Simply ignore the pet or he may not be able to bond with you. The key is to train the dog and not instill fear in him. The home owner would need to use a certain set of words for the dog repeatedly till the dog understands what exactly it is a sign for. So for example; if you take him outside; you could say “go potty”. Dogs have a keen ear and a sharp learning curve. They would gradually understand what exactly the owner is signaling at. Use of these commands on a regular basis is important so that your pet dog becomes familiar with it and would gradually start to follow them. 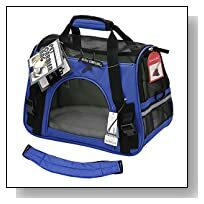 There is a new form of dog crate training that incorporates a toilet in the crate for the dog. If your cat can use a litterbox inside, your dog should also be able to have an indoor toilet when there is no one home to let them outside. To me this makes much more sense than expecting a dog to hold on until someone comes home from work, or can be woken up at night, to let the dog outside. 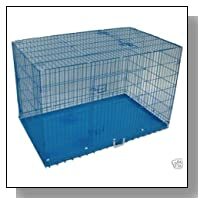 What they do is get a BIG crate that has a divider wall with a dog door in the middle, and gates at both ends. 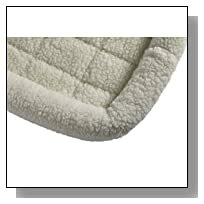 You put a comfortable dog bed in one end and that is where they sleep and rest. 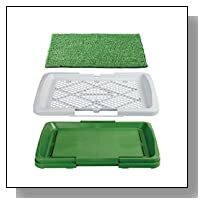 In the other end you have a plastic tray or sheet, along with absorbent litter or newspaper, as this end is the dog indoor toilet. 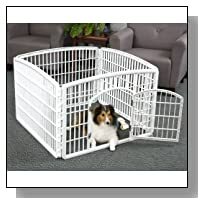 To train the dog you put it in the crate and close both gates. That way once it needs to go potty it wont want to go in its bed, so it will naturally go 'next door' to its toilet section of the crate. 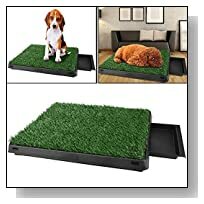 The divider wall is there so that it is a distinct area, not part of the 'bedroom' section, and the dog does not have to feel like its being forced to go to the toilet in its bed. It also helps to keep smell and sight of potty away from the 'bedroom' ... as there is only a doorway entrance cut open in the dividing wall, to allow for access. Once the dog is comfortable with this method of going potty, you leave both the gates open at each end, as the dog will just naturally go to the appropriate section of the crate... to either sleep or go potty. 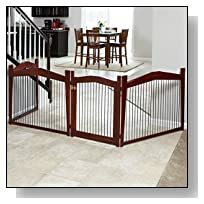 Then at night, you can still choose to lock the dog inside again by closing both gates, just to ensure there are no accidents at night, or when you leave the dog alone. 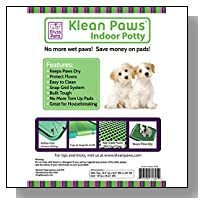 Just remember, you must clean the potty area out every day, like you would for a cat litter box, to keep it fresh and hygienic for dog and your family. 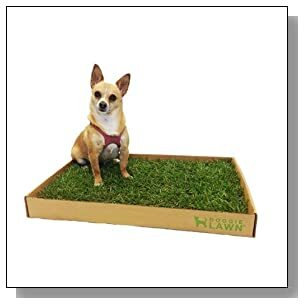 You can make your own divider for the crate with some cardboard, or you can buy the crates with a metal mesh divider and just snip out a doggy sized doorway so that he has access to the toilet section at night. 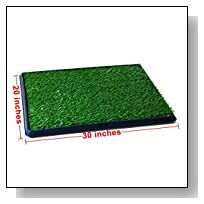 Pet Potty Three Layer Dog Toilet Training Pad Park Patch Mat Indoor Outdoor Large Size 30" X 20" X 2"
Synturfmats Pet Potty Patch Training Pad for Dogs Indoor or Outdoor Use, Large Size 20"x30"
Pet Potty Replacement Grass Mats for Puppy Dog Potty Patch Traning Pads 17"x27"
If you feel that a crate bed is required for your dog 24/7 and that you can't trust them to wander around your home unsupervised, then an ugly metal crate wont suit you for very long. 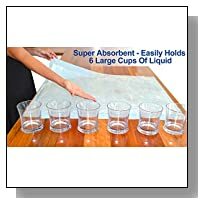 You will need a crate that is attractive in appearance as well as being sturdy, so that it looks suitable for your decor and blends in with your furniture. 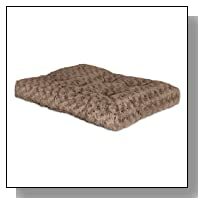 I also have a section here that features a selection of indoor dog houses, and also some durable dog beds to check out. 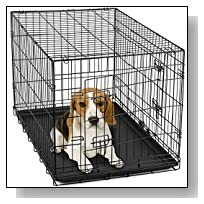 Placing a puppy in a crate may sound restrictive and unkind, but when used positively, it can be effective for housetraining. It is important for your pet dog to develop a bonding with the owner. This only comes with love, affection and care. Treat your dog to a feast once in a while and praise him every time he obeys your command or responds well to the training. 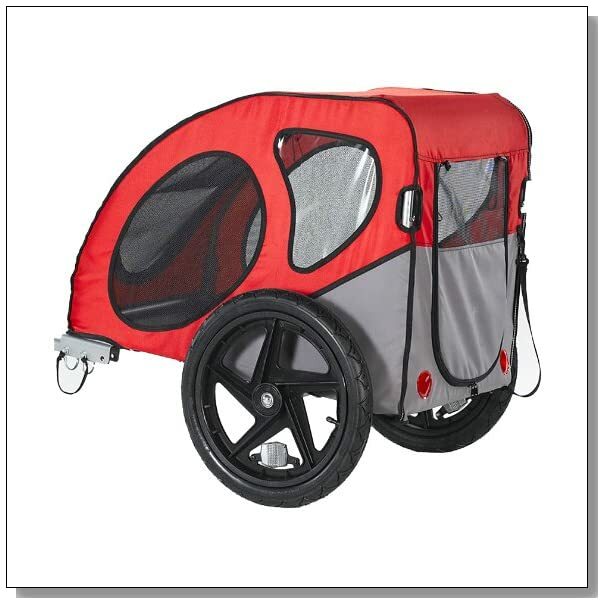 And if you want to have a bit of fun to treat your dog to a bike ride with you, there is even an enclosed puppy trailer to hook on your bike!! 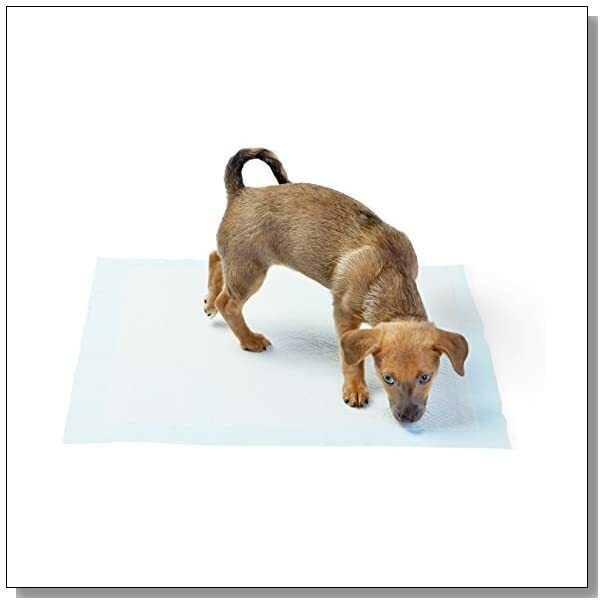 Below here I'm featuring more pages with helpful how-to-do-it tips on dog potty training. 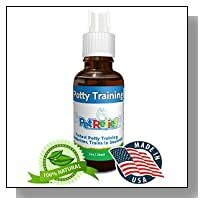 Feel free to submit your own story or article about dog potty training, and I will create your own page here with your contribution for the community to read. 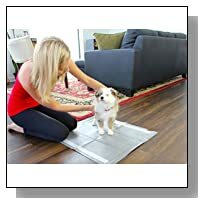 Back to HOME PAGE of this dog potty training section of the site.